The IEEE ICRA Workshop C4 Surgical Robots: Compliant, Continuum, Cognitive, and Collaborative was held in front of a full room 2 June 2017, Friday in Singapore. 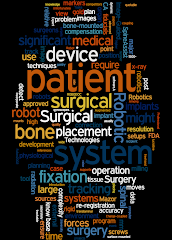 "New robotic technologies have led to significant advances in surgery in recent decades. Motivated to further reduce the invasiveness of robot - assisted surgery, new robotic systems are being created that enter the patient’s body via single ports or natural orifices and can reach and operate in difficult - to - access sites. However, there are still challenges to implement minimally invasive surgery with these new surgical robotic systems, such as the design, control, and sensing of surgical robots for specific clinical applications. In this workshop we will focus on new surgical robots that are compliant, continuum, cognitive, and collaborative (C4 surgical robots). Integrating the emerging technologies in soft robotics, smart materials, co - robotics, and artificial intelligence has the potential to enable new C4 surgical robots. This workshop will bring together world - class researchers to present state - of - the - art research results in surgical robotics and the potential challenges for creating and implementing C4 robots for clinical applications." You can find the complete proceeding of the workshop here, and the photo album here. See you next at IROS in Vancouver!